A new name in high quality, high performance industrial valves you'll soon discover means exceptional valve. LINUO manufactures industrial ball valves, butterfly valves, knife gate valves, gate, globe and check valves as well as actuators and positioners. 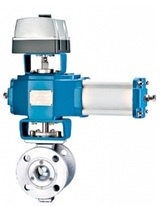 A broad spectrum of ball valves excellently suited for any industrial application. 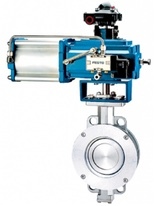 From general purpose valves with NPT or socket-weld connections, to flanged Class 150 through Class 1500 connections, floating-ball or trunnion-mount. Providing on-off and throttling service butterfly valves for industries including pulp and paper, chemical processing, petroleum, chemical fiber, powder processing, pharmaceutical, and environmental protection.. Valve automation packages providing optimal value. 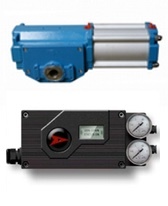 Pneumatic or electric actuators, scotch yoke, rack and pinion, or piston actuators expertly engineered to the right valve for the application. Controls include smart positioners, solenoids and limit switches. A global leader in the design and manufacture of high performance ball valves, butterfly valves, knife gate valves, actuators and accessories for industrial applications.